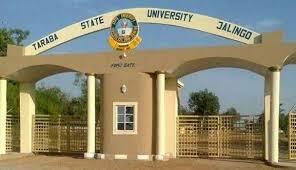 Taraba State University, TSU Jalingo Centre for Distance Education and Lifelong Learning Degree and Postgraduate Admission Form, Courses, Qualifications, Admission Requirements, Application Guidelines, Screening and Interview Schedule for 2018/2019 Academic Session. Programmes of the University through Centre for Distance Education and Lifelong Learning, Taraba State University, Jalingo for the 2017/18 Academic Session. Prospective candidates advise to carefully study the admission requirements on the University’s website at tsuniversity.edu.ng before making payment for the form, as application that does not meet the requirements will not be accepted for the admission. Admission can be at 100-level or 200-level for undergraduates depending on entry qualification presented by candidate. would be admitted at 100 level subject to meeting specific requirements for a given program. to 200-level subject to meeting specific requirements of the program of their choice. of the PGD of their choice in addition to meeting specific requirements of the program. lower in addition to other specific requirements of the Masters program of their choice. Please visit TSU Website at www.tsuniversity.edu.ng for details. 4. Sales of Application Forms commences immediately.